Description: Call us at ext. 111 for arrangements. 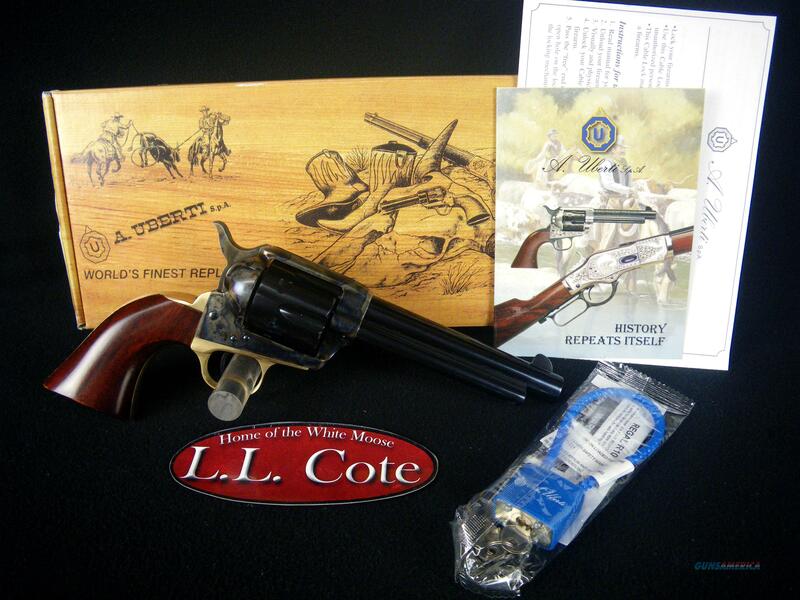 You are bidding on a new Uberti 1873 Cattleman II Brass in 357mag with a 5.5" barrel. The Uberti Cattleman II with retractable firing pin is a breakthrough for those seeking enhanced safety with regard to original Old West revolvers without sacrificing the visual authenticity of a 1st-generation Colt. As any cowboy knows, the safest way to carry a single-action is with the hammer resting on an unloaded chamber. This is true even for the Uberti retractable firing pin design. But in the case of the Uberti design, the risk of accidental discharge is reduced: the firing pin is not locked into the firing position unless the trigger is pulled. This enhanced safety feature is available without a visible transfer bar safety, which those who insist on visual authenticity might not want. In other words, from the outside this revolver’s looks and operation are identical to those of an original. Displayed images are stock photos. Any questions please feel free to ask (our phone number is in the additional information tab above).